After almost 20 years, our REARVIEW brand has earned the Trust of Commercial Fleets and OEMs and have become our partners. We are Rearview Systems LLC and we build our Rearview products stronger to last longer. 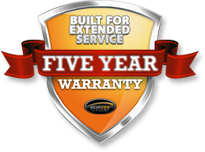 They survive commercial service for many years, and with a Five Year Warranty it is likely to be the only safety system you will ever need, out living the life of the original vehicle. Our ruggedized video cameras and monitors are Built to a Higher Standard for Class 2~8 commercial fleet use or extreme-duty off-road mining applications. Rearview is always our choice for the toughest applications. We get both a great product and excellent service. Thanks we couldn’t do it without you. Rearview Systems has provided its customers with the best backup safety cameras on the market since 2000. We pride ourselves on giving our customers quality products with the latest technology at affordable prices, all while offering exceptional customer service. The rear view systems for sale in our store are completely weather-proof, reliable and shock-resistant. They’ve been tested to the highest standards to ensure they’ll last. Even better, the commercial rear view cameras and monitors are backed by a 5 year warranty. Choose from flush mount, surface mount and side mount rear view cameras with CCD or CMOS image sensors with 120, 130 or 150 degree viewing angles. Our commercial-grade camera system is best suited for trucks, buses, emergency vehicles, farm equipment, cargo vans, trailers, forklifts, boats, RVs or any other large vehicles. Have questions about which systems is best for your vehicle? Give our expert team a call today. We’re happy to help our customers, and we can also provide you with additional special offers not found in our online backup camera and accessories store. Get the backup camera that’s right for you from RearViewSystems.com - and drive safely!